Coffee lovers often like to have their roast of preference on hand at home. 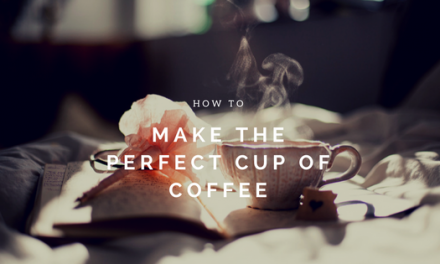 You might know how to make the perfect cuppa. But do you know how to store coffee without it losing its magical powers? Different caffeinated beverages involve various kinds of roasts or grinds. Yet, make sure to keep in mind that coffee does in fact expire. As a rule of thumb, the greatest coffee drinks are prepared using freshly roasted beans. Keeping your coffee supply stored correctly will ensure the most freshness possible. Take a look at these guidelines so you will know how you can store coffee properly. That’s the best way to squeeze every drop of goodness out of your magic beans. Pre-ground coffee varieties have already lost most of their freshness, making whole beans preferable by default. The greatest coffee flavors are produced by grinding up the coffee beans on your own right before you brew them. Grinding beans causes the coffee to oxidize and maintain a flat, bitter taste and must be used immediately. Having all of your favorite types of coffee on hand sounds like a great idea. However, you may not be getting the most out of your roasts as coffee should be consumed within about two weeks after purchase. Studies show that the beans will slowly start losing their most defining properties upon roasting. Don’t bother stocking up on a large amount of coffee at one time. Instead, buy only the number of coffee bags that you will use over a two-week period. In the long run, you will save money not having to throw out old roasts. When the roast is exposed to air, the freshness begins to degrade. Keeping your coffee beans in a sealed airtight container will help prevent this occurrence. If the packaging includes a seal that is strong enough, it should be fine. Most coffee bags do not, though. So, a mason jar tightly sealed with a lid will ensure the quality of your beans last longer. The properties within coffee beans are broken down when exposed to the sun. So, storing them in a dark location is ideal. Maintaining a cool temperature in storage will ensure freshness. If this is not easily achievable, room temperature will be more effective than the refrigerator. That innocent-looking appliance actually steals a lot of the aroma and flavor from the beans. A great place to store beans is in the corner of the kitchen counter or in a cupboard. These guidelines should help you get the most freshness possible from your coffee supply. Taking proper care of the beans and knowing how to store coffee right will keep your cup of Joe tasting amazing.